Don't you just love when the last minute outfit comes out better than what you originally planned? It was one of those frantic moments when I realized that the dress I bought to wear to my niece's first communion had a scary high slit in the back- hmmm, definitely not church appropriate! After sifting through dresses, I caught the glimpse of this pencil skirt in my closet and from there, this skirt offered so many matching options! In the end, I went with this coral top (you may have seen several times here on this blog) because I have a matching lipstick which always makes an outfit feel more cohesive. Gorgeous! I absolutely love that polka dot skirt. It is gorgeous. I do love it when that happens, this one turned out great. The shoes are gorgeous, so perfect for this Spring/Summer. super cute!! 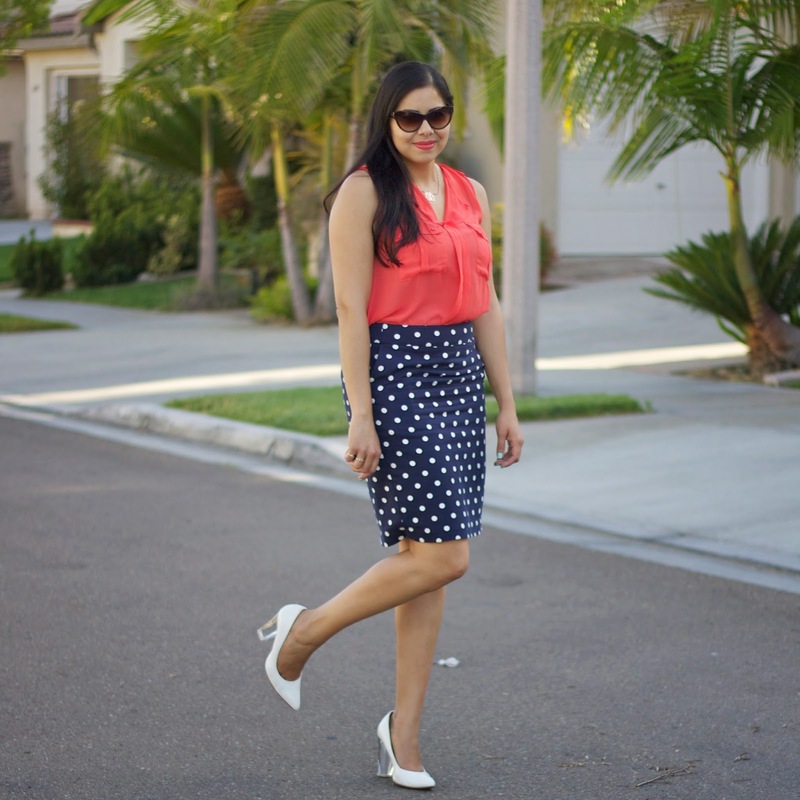 I adore polka dots and coral: great combo! 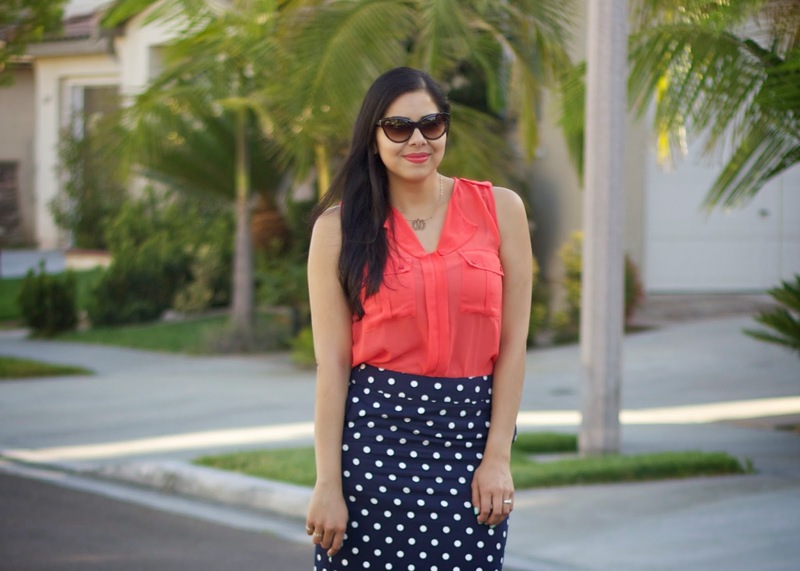 Love the polka dot skirt with the coral top. Such a pretty color on you. You look beautiful! I love your style Paulina. You so fancy haha!